Book of Beasts, also known as Seven Dragons by E. Nesbit. Magic and dragons show up in the more unexpected places in Nesbit's fairy tales much to the delight of children of all ages. 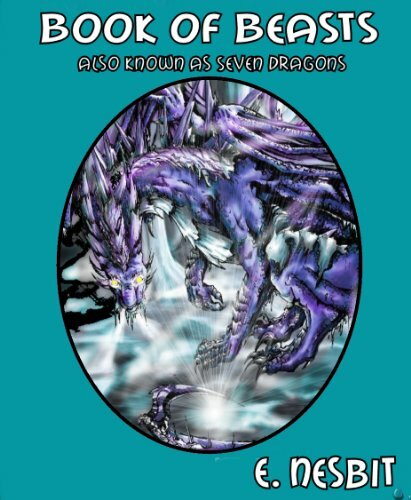 This book features a variety of dragons - tiny dragons, guard dragons, ice dragons, and more! Nesbit also includes the occasional sly commentary, adding amusement for adult readers as well. Included in this book are short stories as "The Book of Beasts," (where young Lionel is crowned king, but accidentally releases a dangerous fire dragon on his kingdom and must find a way to return the dragon to the magic book from whence it came), "The Last of the Dragons" (about a princess who, not wanting to uphold the tradition that all royal maidens must be rescued from the dragon by their prince, insists that she be allowed to fight the dragon herself -- only to discover that this particular dragon is not at all interested in eating Princesses -- nor in being killed by one) and "The Island of the Nine Whirlpools" (featuring a princess and her true love, Nigel, who find the way -- via love and mathematics -- to free her from the curse her wicked father wished upon her). 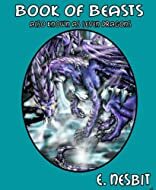 You may have read some of Nesbit's other books, Railway Children, Magic Ring (also known as Enchanted Castle) , Book of Dragons, Treasure Seekers, The Red House and The Wouldbegoods, if you enjoy this one be sure to add them to your list.